Recent announcements from the FBI and DHS shed light on evolving security threats from IoT devices. There has been plenty of discussion about the Internet of Things (IoT) and related security issues. Some people think about security in terms of protecting IoT devices from attacks. But what may be a bigger problem is malicious parties using IoT devices as a proxy to attack systems and endpoints outside of IoT, essentially using the IoT devices as the traffic generation points. The FBI issued a public service announcement concerning this very kind of IoT attack. The announcement provides examples of IoT devices that may be compromised, such as industrial sensors, meters, routers, wireless radio links, time clocks, audio/video streaming devices, IP cameras, DVRs, satellite antenna equipment, smart garage door openers, and network-attached storage devices. 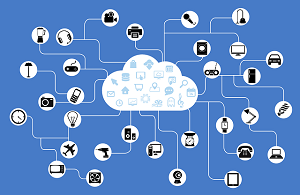 The risks are not only to your devices, but also to greater Internet connections that may be attacked through your IoT devices. Security issues and resilience risks have existed for decades. The scale of interconnectedness created by the IoT has increased these risks and created new ones. Today's attackers can now scale by infecting large numbers of devices, allowing them access to the data on those devices and the ability to attack other computers or devices for malicious behavior. The U.S. Department of Homeland Security (DHS) issued a Security Tip concerning IoT, with insight from the U.S. Computer Emergency Response Team (US-CERT) and the National Cybersecurity and Communications Integration Center's (NCCIC). NCCIS's mission is to reduce the risk of systemic cybersecurity and communications challenges in cyber defense, incident response, and operational integration center. Evaluate your security settings -- Enabling features to increase convenience or functionality can lead to attack vulnerability. Examine the settings -- especially the security settings -- and only select options without putting devices at increased risk. When installing a patch or a new software version, reevaluate the settings to ensure that they are still appropriate. Connect carefully -- When a device is connected to the Internet, it's accessible by millions of other computers. This connection allows attackers access to your device. Consider whether you should implement continuous connectivity to the Internet. You should never use default usernames and passwords. Use strong passwords. You may want to change the usernames and passwords periodically. Problems can accumulate in your devices. Periodically reboot those devices. Regularly use antivirus software. Ensure that it's up-to-date. If you are using IoT devices, you may want to employ fog computing devices which can provide the added security and protection. Assuming that you have a firewall, ensure that it blocks traffic from unauthorized addresses, and disable port forwarding. Whenever possible, isolate IoT devices from other network connections. If you suspect your IoT device(s) may have been compromised, contact your local FBI office and/or file a complaint with the Internet Crime Complaint Center.